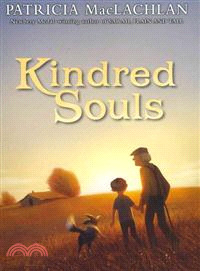 With the sure touch she brought to the beloved Newbery Medal winner Sarah, Plain and Tall, in Kindred Souls Patricia MacLachlan guides children into the understanding that death is a natural part of life. Ten-year-old Jake has always been close to his grandfather Billy—so close that Jake’s mother calls them kindred souls. Each morning, Jake and Billy take a walk around the family farm. Billy often tells Jake stories of living in a sod house on the prairie. When Billy goes into the hospital, Jake decides the best gift he can give his beloved grandfather is a sod house. Billy moves to the sod house when he leaves the hospital and spends his last days living there.